Barre, MA such a peaceful and quiet town. With main attractions like the Barre Players Theatre and Russell's Fossil Museum, the town has a feeling of the way life should be. Many locals have also been looking for siding contractors in the area and some homeowners were able to find what they were looking for. A local Barre homeowner came across Everlast Composite siding and immediately knew that Everlast would fill the emptiness in his heart each time he looked at his old wood siding. The cracks, the peeling and the patchy colors were too much for him and wife so they made the move. 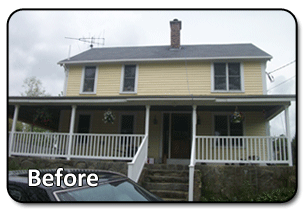 They chose to install an Antique Ivory, 7-inch Everlast Composite clapboard for their siding and it couldn't have been a better fit. 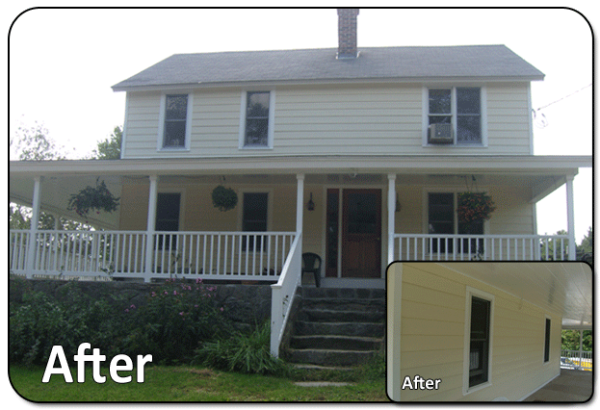 The home required an entire demolition of its old wood siding, trim and fascia around the porch. 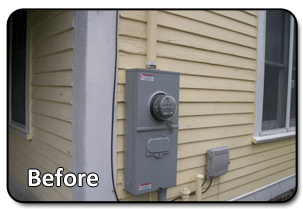 New Everlast siding was installed along with new anodized aluminum window and door flashings. Everything was fastened together with stainless steel, ring-shanked nails and underneath Everwrap moisture barriers were installed.